UP in the hole. 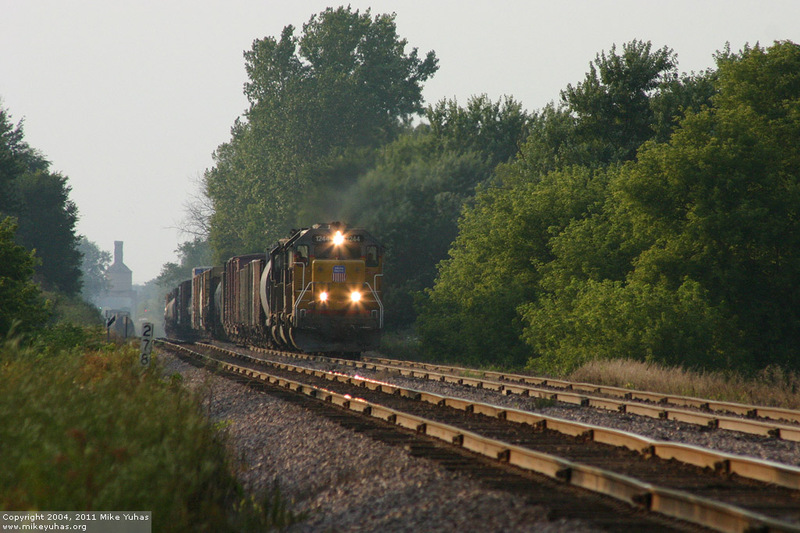 Union Pacific train MITPR on the siding at Clyman Junction, headed east again after meeting two westbounds. A GP39-2 leads two ex-Rio Grande tunnel motors over jointed rail. The entire 42 cars of this train is seen in this photograph.